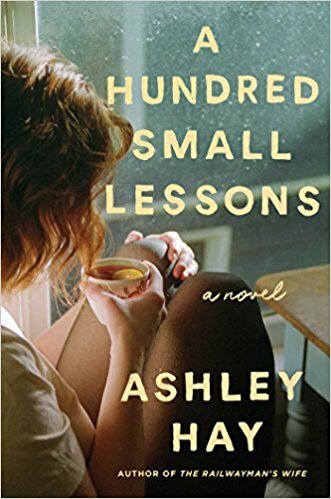 A Hundred Small Lessons is a haunting discourse about life wrapped around two families’ stories within a single house. Elsie and Clem buy a newly built house soon after World War II is over. They have eight-year-old twins and Elsie finds the reason for her existence in motherhood. Sixty-one years later, the twins are almost seventy themselves and Clem is dead. After a bad fall at home, Elsie is shuttled quickly into a nursing home and the house is sold to a new family. Lucy and Ben are just starting out with their young son. After finding the former owner’s overlooked family photos, Lucy begins to imagine Elsie’s life within the house. A Hundred Small Lessons alternates between Elsie’s and Lucy’s stories. The language is languorous practically poetic. It feels as if the reader is dreaming, rather than reading, the story. The setting of Brisbane Australia, with its unbridled nature encroaching into everyone’s attempt at order, is a perfect and subtle metaphor for how life can never be controlled. All these moments, he thought as the boat edged away from the riverbank. They added up to something, but he could never quite see to what. A Hundred Small Things is a book to slowly savor. Its evocative setting and thought-provoking plot are perfect starting points for deeper self-reflection. 5 stars! Thanks to the publisher, Atria Books, for sponsoring the Goodreads giveaway that gave me this wonderful book.